Between 2004 and 2015, the US airline industry saw 11 major air carriers merge into 4. This massive consolidation took place as a response to industry slowdowns and from the lack of ability on the airlines part to generate a profit. As the dust settled, the remaining airlines have learned from their past and are practicing capacity discipline. The airlines left are now generating a profit, but as a result, the industry has become much less welcoming to new airlines. Europe conversely, has a vibrant variety in the airline industry with some countries boasting more than one prominent airline. But with the recent bankruptcy of three major European airlines – Alitalia, Air Berlin, and Monarch – there are signs of an impending large consolidation on the horizon similar to what occurred in the US. Monarch was one the biggest and most tenured UK airlines, yet it was forced to cease operations almost overnight from a variety of factors that compounded to a burden Monarch could not handle. The Brexit induced weakening of the pound created an economic burden on Monarch as the airline purchased its fuel in USD. Additionally, some of its main destinations – namely those in Tunisia, Turkey, and Egypt – lost demand because of recent terrorism forcing the airline to try to recuperate funds by flying saturated routes in Europe where it could not compete with airlines who had a better angle on that market. Alitalia faced unique problems of its own before declaring bankruptcy following a trend of being unprofitable resulting in one of its major shareholders, Etihad, pulling out. Air Berlin suffered from not choosing a strategy. It was neither a low-cost or a legacy carrier but instead stuck somewhere in the middle with few competitive advantages. Combined with internal struggles and the inability to please passengers Air Berlin’s only lasting legacy will be in the items auctioned off to the public. The challenges faced by the now bankrupt airlines are not isolated to the past, as over the next 12 months it is likely at least 5 additional medium-sized European airlines will follow suit and also go bankrupt. Last year, many airlines were struggling to make a profit even though expenses, such as the cost of fuel, were relatively low and oil only cost around 40 USD per barrel. This winter, oil prices are estimated to reach 80 USD per barrel, which will put the financial security of many smaller airlines in peril. Fuel makes up 35% of the total cost of an airline and the airlines who missed the opportunity to hedge prices will suffer additional expenses. The effects of the pilot shortage will also start being felt in the next year, as larger airlines did not invest enough in cadet programs to ensure an influx of new pilots to replace all those retiring. Resultantly, large airlines will headhunt pilots from smaller airlines by offering higher salaries. 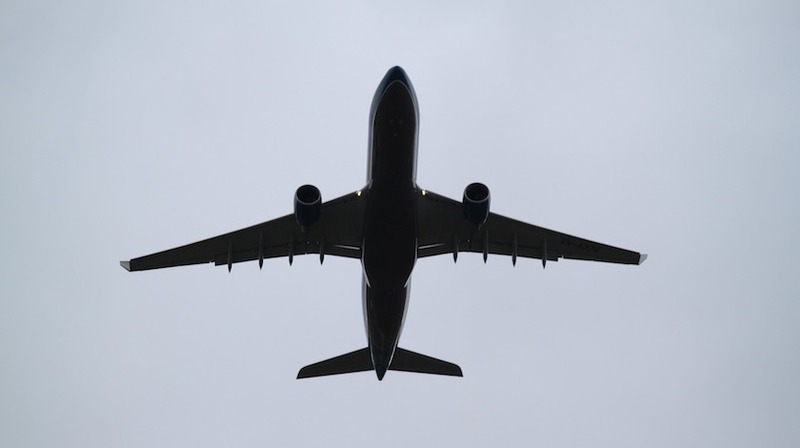 Not only will the smaller airlines be suffering from losing a significant portion of their pilots but many did not plan a sufficient margin for the E261 compensation for passengers with some airlines incurring multi-million dollar unplanned expenses. If European airlines continue to fail, the landscape will begin to look similar to the US model in that consolidation will continue until only a few large airlines remain with the smaller airlines becoming absorbed or going bankrupt. The effect this has on the end user, passengers, is the considerable risk for ticket prices to increase dramatically. While the possibility of massive consolidation is a looming thought in many analyst’s minds, Europe has somewhat of an advantage in preventing the scale of consolidation that occurred in the US just a short time ago. The US uses a hub and spoke system of airports, so one of the main reasons there were so many buyouts was purely for geographic reasons so that airlines could maintain the edge in their regions and not because of similar corporate structures or business plans. The European airport model does not use a hub and spoke system as point-to-point travel is the preferred method. This difference in airport structures provides Europe with a natural buffer to prevent large-scale consolidation like what occurred in the US. The possibility for the European landscape to change drastically still remains. While the European model of airlines – favoring low-cost carriers over legacy carriers – is a more volatile market than the US model, it will likely continue to favor low-cost carriers despite an increase in consolidation and failure. This is because low-cost carriers are important to the fabric of the European air system. According to CAPA, low-cost carriers account for 40.4% of the seats filled in Europe, compared to only 32.5% in the US. Also, according to Allegiant, ultra-low-cost carriers account for 28% of the market in Europe and only 6% in the US. Even in the face of financial hardship and fierce competition, causing many airlines to face possible bankruptcy, the statistics are still on the airlines’ side. The market spoke and has determined that flexible European LCC’s and ULCC’s are here to stay. The only thing that remains is for the airlines themselves to find their niche, secure their market, and prepare to stay in it for the long haul while letting the airlines who do not have what it takes fade into obscurity.